Put items in your basket, click on check out and follow the instructions to Sign Up or Log in. You can choose payment option Pay by card or Paypal, if you have problems please email info@flawlesslashesbyloreta.com , our team will be happy to help you. Once in “Cart”, enter your discount code in the “Gift card or discount code” box. Make sure the code is spelled correctly and has not expired (T&Cs might apply). If it’s still not working, leave a note on your order and contact us. We will look into this for you. Your username is your email address used to sign in. Click on “Forgot your password?” in order to receive an email to reset your password. Then simply follow the instructions from the email. Contact us. If the order has been shipped then we cannot change it anymore. If it hasn’t, you can swap items (if they are the same price) or cancel items. If you are looking to add more items, please place a new order and leave a note, we will ship both orders together and refund you one shipment if possible. Please contact us ASAP. We will try our best to amend this for you. If the order has been shipped already, we won’t be able to change it anymore. As long as you are a trained professional, you can purchase from us. Please make sure you check the full content of the parcel when you receive it and advise us of the issue within 14 days of receipt. Please email us at shop@flawlesslashesbyloreta.com. Provide the order number, describe the issue and ideally, send us pictures. We might not be able to refund or replace the item if you contact us more than 14 days after receipt of the parcel. If product is missing we will issue refund as soon as we completed investigation. Damaged parcel should be reported in 24 hours from receiving it. We highly recommend to read full description about individual product. Each products have a description online, please check our website. If you are unsure about anything, please contact us. Would be easy for us to help you, if you can describe what particular product you need additional information. We also offer different courses, if you would like to learn more about adhesives, different stylings, what extensions most suitable for Volume etc , please visit our courses information https://flawlesslashesbyloreta.com/collections/uk-courses . We recommend that you use the adhesive within 6-8 weeks of the purchase and opening date. The fresher the adhesive, the better the results. You should keep adhesives upright in its pouch with silica bag in a cool dry room . And shake well (about 2min) before each use and shake between each drop. If you have very high humidity and temperature, and you lash minimum 4 clients per day, that means you opening bottle of adhesive quiet often, you should replace bottle every 3-4 weeks. When you shake bottle of glue, make sure you remove lid, place glue pin in to the nozzle and shake it this way, this prevents glue go in to the cup/lid. Pigments can separate if the bottle has not been used recently. Make sure you shake the bottle for 2 minutes before trying a drop. You might need to discard the first drop as adhesive in the neck of the bottle might not mix properly then check the second one. If it hasn’t work, shake the bottle more. Contact us if you have no success. The humidity of your room might be too low for the adhesive. You can increase it by using a humidifier. You can also increase the drying speed of your adhesive by using our Glue Accelerator (see product page for details). We always recommend to have few different adhesives for different humidity/temperature. Adhesive might not dry fast enough, on customers natural lashes, if : lashes are too dry, if they are on hormonal treatment, if you didn’t wash eyelash cleansing foam well. Please double check with your client. This would usually happen if the extension has not bonded correctly with the natural lash. It can be because the adhesive has dried too quickly to fully bond. Try to pick up more adhesive to allow better surface coverage. Always isolate natural lash first, then dip extension in to the glue, this helps to get better retention. If humidity higher, always pick up more glue. Even slow drying adhesives, dries faster in higher humidity/temperature then manufacturer noted. Also it can happen if customers hasn’t followed the aftercare instructions correctly. If you use nano mister, if you over sprayed this could cause shock polymerisation and lashes not bonded properly, they might fall faster, or if clients eyes were tearing during the application. This can happen especially in winter due to the heating which makes the air dryer. Fumes from the glue are attracted to humidity and when the room is dry, it goes for the eyes, nose, mouth and can create irritation. We recommend the use of a humidifier in winter to counteract this. Other reason could be if your clients eyes were half open during the treatment, fumes easily went in to the eyes. In this case your client can get chemical burn- red line, which can be mixed with allergy. Make sure your clients eyes shut properly. Being a lash artist it is not easy, clients always think that they reacted to the glue, but this is not the case. Sometimes they can react to cleanser, primer, eye pads etc Always read ingredients which listed on the product, your client may be allergic to one of them. Even if you did everything correct, your clients may develop sensitivity/allergy, as we using chemicals. Direct them to see the doctor. A patch test is required for new clients and for any changes of adhesive. Patch must be done 24 hours before their treatment. Apply 5 shorter extensions across the lash line on each eye, and leave for 24 hours. If there is no irritation, then the adhesive can be used for the full application. Patch test does not guarantee 100% suitability as larger amount of adhesive is used for the full application. We have changed the stickers on our bottle in order to differentiate our adhesives easily. The recipe has stayed the same. Most of the Tweezers are hand made. Sometimes if you buying same type of tweezers, you used before, it might be slightly different. Try to grab fan in different part of the tweezers foot. All lash artists have different habbits, the way they hold tweezers, where they grab fans etc. Because there are known many Volume techniques, not every tweezers designed to work for every technique. We recommend our Dumont tweezers for Rocking or wiggle technique, only, but try to avoid using very end of the tweezers foot. If you using different technique but like using tip of the tweezers, we would recommend our Flawless Volume tweezers, if you like to grab fan further down the foot of the tweezers, Easy Fan tweezers are perfect. Please check on the product page of our website if the tweezers are suitable for the technique you are using. If yes, you might need to adjust the position of your hand on the tweezers, change the pressure applied to the tweezers or also try different pick up spots on the foot. If this still doesn’t work, please contact us. MY TWEEZERS DON’T CLOSE AT THE TIP OR AT THE FOOT. Different tweezers close in different ways, some of the tweezers are suitable for different techniques. Dumont made this way, that foot of the tweezers doesn’t close if you hold it gently, that’s why they best for rocking of wiggle technique. While you rocking multiple extensions, to make a fan, this gab helps extensions to open. When you see that fan opened, close your tweezers by adding a bit more pressure and peel fan of the strip. Our rest of the tweezers have no gap, but it can happen that you loose some extensions. This can happen if you hold tweezers in wrong place. Always hold your tweezers closer to the foot. If you tried everything, please contact us for more help. All our tweezers are checked by hand before shipping. If your tweezers arrived damaged, please contact us as soon as possible (within 14 days of receipt) providing your order number and pictures. If your tweezers broke or bend as they’ve been dropped, we are unable to refund or replace the tweezers. All our tweezers are hand finished so each one is slightly different. Also tweezers shape to the user after few uses. You might need to adjust the position of your hand on the tweezers, change the pressure applied to the tweezers or also try different pick up spots on the foot. If this still doesn’t work, please contact us. Adapters can be found in specialist shop or online. We only sell Glamcor with UK plugs. 1) Have you closed and re-opened the front cover? The Nano Mister sprays for 30 seconds which is long enough to spray the client’s eyes and face. 2) Is there any liquid in the tank? Only use distilled water or Saline solution. 3) Is the light coming on? If not or if the light is red, the Nano Mister might need charging via the USB lead provided. If it’s still not working, please contact us. Only use distilled water. Water might have stayed in the pipes and starts to smell. Make sure you empty it fully every evening. You may need to empty then spray alternatively until the tank is entirely empty then leave the water tank open to dry. To get rid of the smell, you may want to then fill the tank up with fresh distilled water and spray until empty. Our brushes can only be used for one client as cannot be sanitised with strong chemicals but they can be washed in hot soapy water. This is why we recommend to give them as a gift to your clients who can use them for their daily lash maintenance. Lashes take 8 weeks to produce. Lashes that are out of stock are most possibly in production. Some thicknesses you can replace with thinner diameter. If you using 0.07 you might try our lovely 0.06 lashes, which are very easy to fan and dark, good thing you can make bigger fan. If you run out of 0.06 – we have 0.05 , just use more multiple extensions in the fan, and there wont be any difference. When we receive the lashes, we will announce via Social Media or emails. You can also buy our mixed trays, check if they contain the length you want on the product description. We have updated the design of our boxes, the quality of the lashes are exactly the same. We are based in UK and therefore only deal in Pounds Sterling. The amount you are charged depends on the exchange rate and your bank’s charges. We send confirmation emails when an order is placed and shipped. The shipping confirmation email will include a tracking number. If you haven’t received the emails, please check your Spams box. Contact us if you cant find this information, we will happy to assist you. Refunds can take from 1 day up to 10 days depending on your bank. Refunds are made via your original purchase method only. Please check the tracking information provided by email or Facebook Messenger for more information and contact your local post office. If this is unsuccessful please contact us. Tracking information can take up to 48 hours to be updated. Please check again later. If unsuccessful, please contact us. We take extra care when packing our order but if this happens please contact us as soon as possible. We might not be able to help if contact is made after 14 days of receipt. We might require some pictures. International shipments (outside EU Zone) are subject to import fees, duties and taxes, which are levied once a shipment reaches their country, in addition to the brokerage fees/custom clearance charges which may be imposed by the carrier. These charges must be paid by yourself. We have no control over these charges. If an international shipment is refused and/or returned, any taxes, duties, custom fees, brokerage fees or shipping charges incurred from this return, will be the responsibility of the customer. If your order has not been shipped yet, we might be able to change this for you. Email us ASAP quoting your order number and what you would like to change. If your order is in transit or you have received your order. You have 14 days from receipt to let us know and return the product with your order number to: Flawless Lashes ltd, Unit 2 Oak Cottage, County Oak Way, Crawley, RH11 7ST, UK. We recommend that you use a tracked service and pack the products appropriately. We will check the item on receipt. Contact us via email as soon as you noticed the fault, preferably within 14 days of receipt, and we will replace your items or issue refund. We wont be able to offer exchange/refund after that timescale. Our Foundation training is for people who haven’t had any lash extension training yet. It covers the base (how to apply one to one lash extension, styling, hygiene, how to set up your business, regulations…). Once you have passed the Foundation class, you can take the Beginner Volume class which covers the base of Volume lash extensions (the application of several extensions to the natural lash). This class covers how to make and apply fans as well as styling. And finally, once you have passed the Beginner Volume class, you can attend the Advanced Volume class which aims to perfect existing skills and learning new techniques. 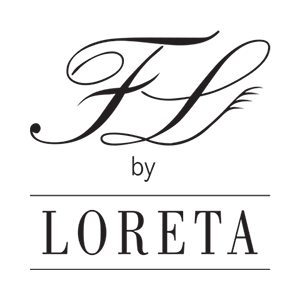 We also offer Elite training which is a private class one to one with Loreta covering your needs to become the best Lash Artist! Our Academy is based in Crawley, UK. We also have trainers dotted around UK and abroad. When you come to the class, you will get a starter kit, which includes everything you need for the start, you will get a lifetime 10% discount on our website, a discount on insurance as well as access to our private forum full of experienced Lash Artists. It depends on the level you come to learn. For the Foundation class and Beginner Volume, you will need to provide case studies in order to show that you have retained the training. We will give you feedback and guide you through improvement. When you are at the level of good work, you will be sent your certificate and you’ll be ready to start. As for the Advanced Volume class, you will receive your certificate at the end of the class. We are based in Crawley, UK, close to Gatwick Airport. Weare based in Crawley, UK, close to Gatwick Airport. We also have trainers in UK and abroad (see our website: https://flawlesslashesbyloreta.com/pages/our-trainers). Loreta does occasionally give classes abroad as well. You only need to bring yourself. If you have agreed to provide a model, they will be needed from 2pm or 2.30pm depending what class you are in. Don’t forget your glasses if you need any. We recommend eyelash extensions courses for people, who has good eyesight, as it is very precise procedure. We do offer payment option for some of our most expensive classes. Elite class has deposit option, or some of our international classes. For other classes we require the full payment for the booking. We might be able to organise a class or direct you to the nearest, please contact us on academy@flawlesslashesbyloreta.com for more information. If there is no distributor listed in your country and you are interested in distributing our products, you can fill the online form https://flawlesslashesbyloreta.com/pages/become-a-distributor with as much information about yourself as possible. Our distributors are separate companies who apply their own prices and run their own offers. They might choose not to follow our special offers. But we will guide you in our meeting. Please check our trainers page online to find the nearest trainer to you: https://flawlesslashesbyloreta.com/pages/our-trainers . You are also welcome to attend our classes in our Academy in Crawley, UK. Do you have PTLLS certificate? Do you have 4 years experience in 'Classic' lashes? Do you have 2 years experience in 'Volume' lashes? Have you trained with Loreta and passed with 'flying colours'? If you thick only few of these requirements don’t be afraid to get in touch, we might find a solution.